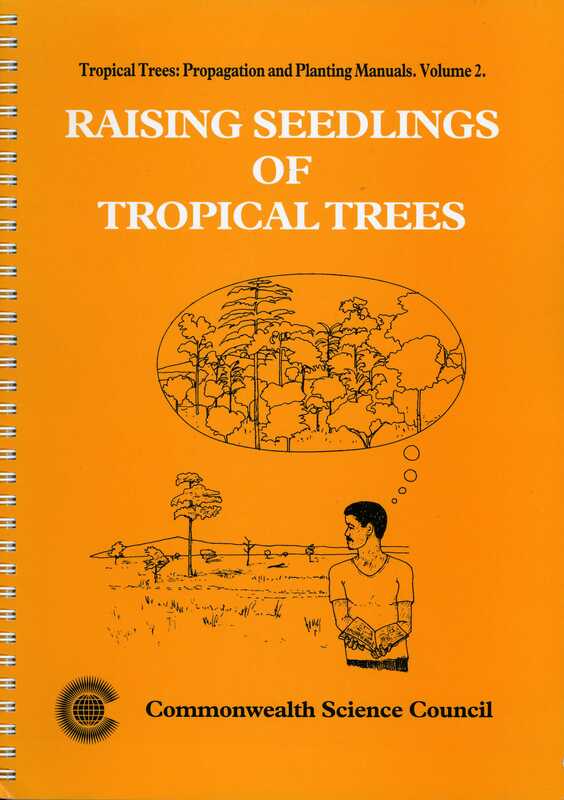 This Manual is the second in a series of readable, well illustrated handbooks about propagating and planting tropical trees. The five Manuals have been designed to provide clear and concise information on how to select, grow, plant and care for tropical trees, in both moist and drier parts of the tropics. They are intended for anyone interested in growing trees, from the small-holder to the large-scale grower, from local communities to national governments and from school and further education teachers to research and extension staff of agricultural and forestry departments. They provide illustrated, step-by-step instructions, practical guidelines and an outline of the thought processes behind them. The manual includes useful check lists for possible problems that might be encountered and on assessing germination, and provides references for further information on tree flowering and genetics and seed handling and propagation.